The Bodija market has been closed. It was closed today by the Government of the State of Oyo for security reasons. This comes due to the sporadic shooting that occurred today in the market and its surroundings. 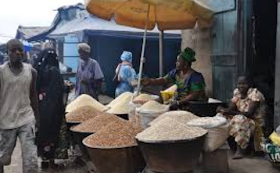 The president of the Development Area of the Council of Aare Laatosa Loca (LCDA), Mr. Adekunle Oladeji, said that the closure is to avoid the loss of life and property of citizens, emphasizing that it is also to prevent the escalation of the violence in the market. other parts of the state.